Carpal tunnel syndrome is a condition in which one of the major nerves to the hand is compressed or squashed as it passes through a tight tunnel at the wrist. When the nerve is squashed at this level, the normal signals are unable to get along the nerve resulting in symptoms of numbness, pins and needles and pain. Everyone experiences carpal tunnel syndrome differently. The symptoms people often experience from their carpal tunnel syndrome are pain at the wrist, pins and needles in the thumb, index, middle and part of the ring fingers, often causing waking at night and numbness. People often complain that their affected hand feels clumsy and that they have trouble picking up things or doing up buttons. The symptoms may also be exacerbated by activities where the wrist is flexed, such as driving and holding phones. 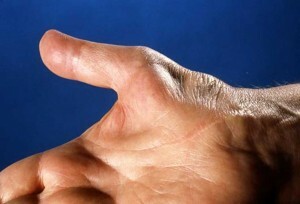 In severe, longstanding cases there may be wasting and weakness of the muscles at the base of the thumb. The condition may be diagnosed on the basis of your symptoms and examination findings. The presence and severity of the condition can be confirmed with nerve conduction studies, which may be recommended by your GP or surgeon, especially if your symptoms do not fit the usual picture. 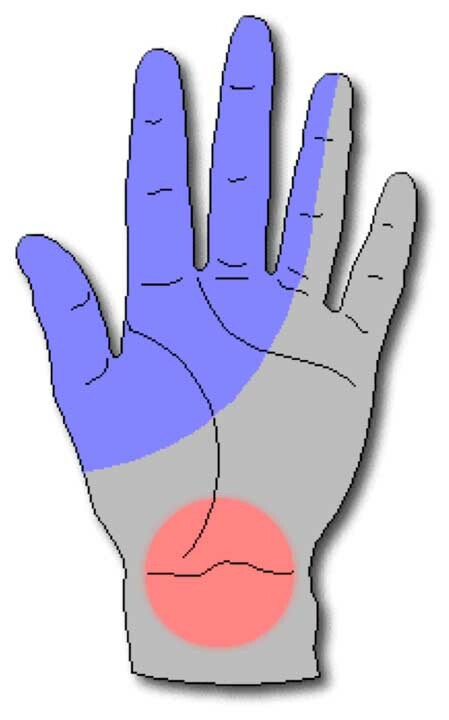 Carpal tunnel syndrome is caused by compression of the median nerve at the wrist level. The reason for the compression can be related to many conditions including pregnancy, diabetes, rheumatoid arthritis, osteoarthritis, broken wrist bones, hypothyroidism, obesity, and (very rarely) tumours and other conditions. Whether it can be caused by repetitive movements at work is controversial. Certainly if you have carpal tunnel syndrome you may find that certain work activities aggravate your condition. Anti-inflammatory medications, injections of corticosteroids and exercises can be successful in mild and moderate cases of carpal tunnel syndrome, especially when the condition has been present for less than 3 months. Rigid wrist splints worn at night can help control the night time waking particularly when symptoms occur mostly at night. This is particularly so for women who develop carpal tunnel syndrome during pregnancy. Carpal tunnel surgery is performed very commonly for symptoms of compression of the median nerve. The operation is designed to stop the nerve being squashed as it passes through the tunnel at the wrist on the way to the fingers. The surgery is done under a light sedation and local anaesthesia so you will not be aware of the surgery happening. A small incision over the base of the palm allows access to the ligament in the palm that forms the top of the carpal tunnel. This ligament is released to increase the available room for the Median nerve and relieve the compression of the nerve. This is done as a day surgery procedure in accredited operating facilities. Afterwards a bandage is worn on the palm for 5 days. The hand can be used for light activities through this period. The bandage is removed 3 – 5 days after surgery. A small sticking plaster will remain in place over the sutures until they are removed in the consulting rooms 9 to 14 days after surgery. The pain of nerve compression can be expected to disappear quickly after surgery (providing that the carpal tunnel syndrome was the cause of your pain) and the waking at night usually stops within a day or two of surgery. If you have had numbness for a long time before your surgery it may take some weeks to months before you notice an improvement in this. 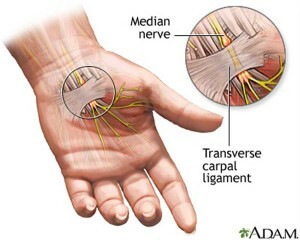 In cases of severe carpal tunnel syndrome the nerve may not completely recover function. Any pre-operative weakness in the hand will take some time to recover as the muscles need to regain their lost strength after the nerve has been decompressed. Most people are able to use the hand for light basic activities from the day following surgery. Heavy duties usually take 3-4 weeks to return to. 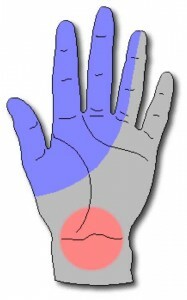 The duration of your anticipated recovery period relates to what you use your hand for – if you are a motor mechanic you will need to be able to put heavy loads through your hand before you feel fully recovered, so your recovery period may seem longer than someone who mostly uses their hand for typing. If you are able to take 10-14 days off work this is recommended. Your surgeon may recommend that you see a hand therapist after the surgery, particularly if you are having difficulties with hand swelling, scar sensitivity, reduced mobility or pain. It is common to have some discomfort with weight bearing through the hand (such as push ups) or with deep pressure on the wound for 3-4 months following the surgery. Performing these activities is not dangerous but will be uncomfortable for this amount of time. At your appointment your doctor will examine your hand and the results of any tests you have had and answer any specific questions or concerns you may have prior to surgery.